Wide curtain of whitewater flows continuously over the brink of a beautiful. 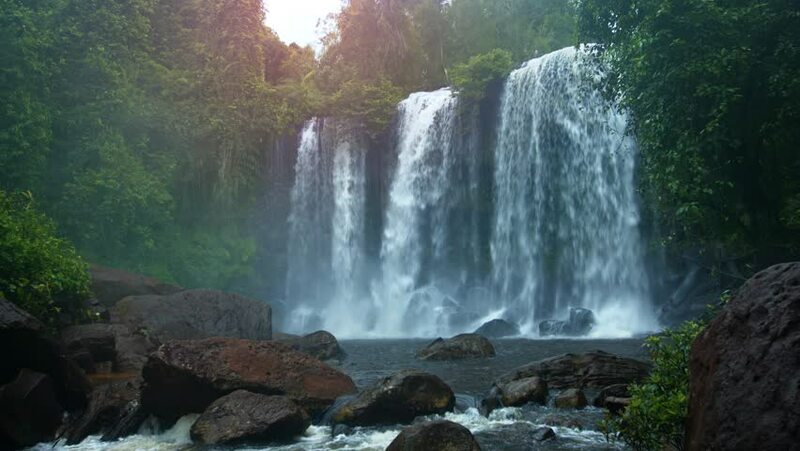 natural waterfall in Cambodia. with sound. 4k00:28Waterfall with Rainbow in Asia.